Growing a business isn’t all about increasing sales from operating activities, which up till now remains the best strategy to sustain the business, but investing some of the available cash in your bank in safe and secure investment opportunities that generate passive income. After all, your cash is subject to inflationary risk if it is kept in a savings account where interest rates at an all-time low (2-3%) per annum. The cash generated from sales didn’t come in as a donation or gift from customers, you dissipated efforts, and value to ensure your customers feel satisfied, so a high-risk investment like the stock isn’t one you should even consider, rather it is safer to keep your funds in risk-free assets like FGN bonds or CBN Treasury Bills, an investment that is fully backed by the federal government. 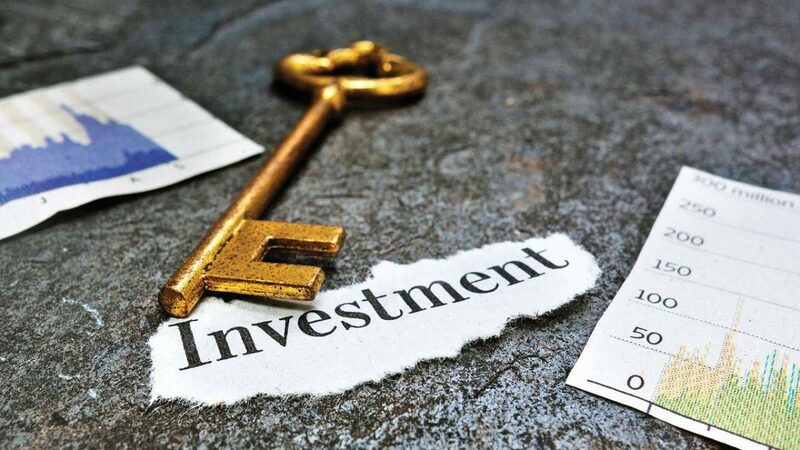 As a business owner, you are strongly advised to keep track of all these investments in your books so you can easily track the cash flow, also known as interest income from various risk-free investments. One of the best software for managing “fixed income investments and interest earned” is QuickBooks. We had just helped a corporate society, who invest members’ savings/thrift primarily in CBN Treasury Bills and Fixed Deposit with interest paid upfront into the account, migrate their 12-months transactions from excel into QuickBooks Online. Investment in Treasury Bills with Interest paid upfront. Rollover of maturing investments with interest. As an accounting software consultant in Nigeria, we don’t only deploy or train clients on the desktop versions of QuickBooks, but also help small and growing businesses discover the best package for their accounting needs. This is because we understand the varying requirements for QuickBooks in different industries and are experienced to tell business owners the package that will works for them. Although we have shared a guide on “Understanding QuickBooks and the right version for your business“, we still believe a detailed break down of these versions by industry adaptability is what you really need to avoid buying the wrong version. The Pro version is the basic of QuickBooks. 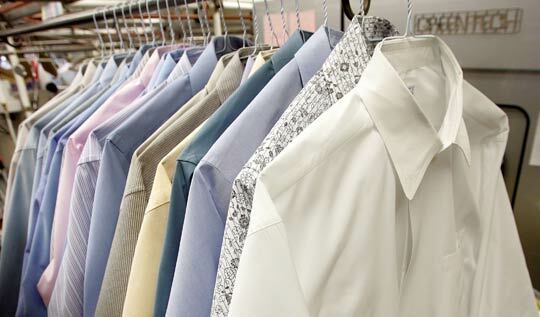 The software works for outfits that do not sell inventories to make money; your services span across consulting, training, travels, real estate management, procurements, legal, loan or cash advances, bureau de change, event managers, investment advisory or receive donations/grants. This doesn’t mean that a retail store can’t deploy QuickBooks Pro for inventory management but the setback is in the “unit of measures”. For instance, assuming you sell “varying packets or bags of a product“, there is no room to indicate the specific unit of measures for the product; whether it is sold in Kg or gram. You track inventories and unit of measures. 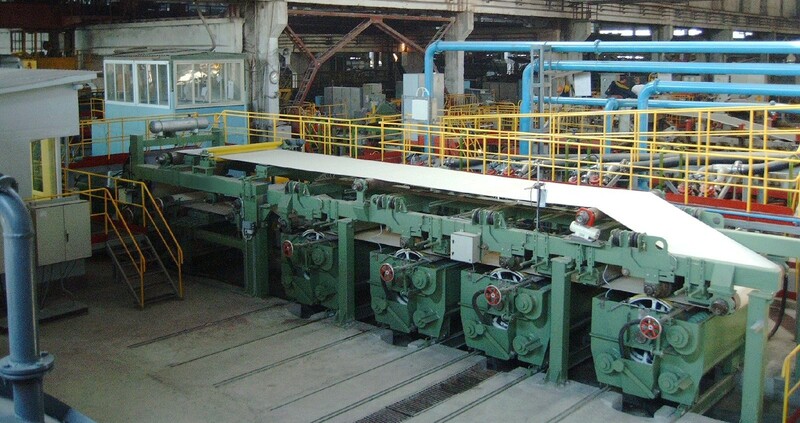 You manufacture or assemble inventories. The number of users exceeds three (3) for the US edition and five (5) for UK editions. 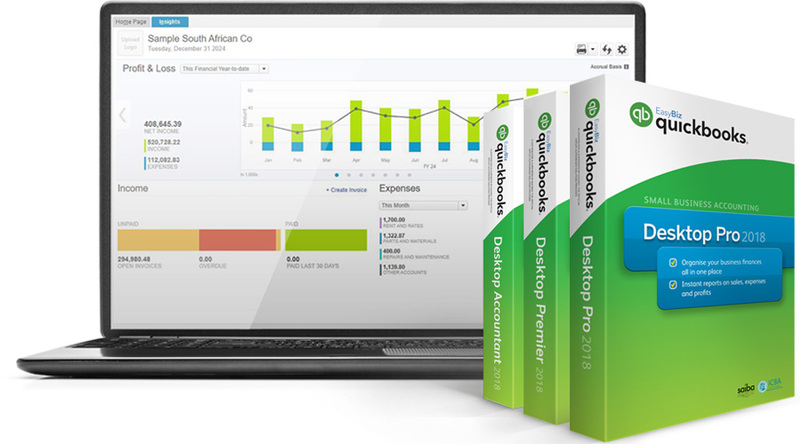 QuickBooks Online Plus is a cloud version of QuickBooks that lets you manage your business from anywhere. While you can record sales, monitor expenses, and check your financials on a real-time, even from your mobile, Inventory transfer between locations is a task you can only perform if you subscribe to the platinum version of QuickBooks Enterprise. 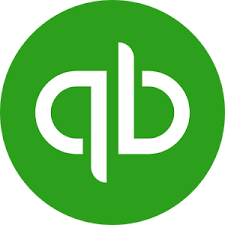 This means that if you own multiple stores and are using other versions of QuickBooks like Pro, Premier or are currently subscribe to QuickBooks Online Plus, you can not record inventories transfers from between/among different locations. But what if we show you an alternative way to achieve this inventory transfer process for multiple locations without getting your financials doctored and still have your inventory report intact? Effective management of a co-operative society’s account, in a face change environment where no one is ready to spend countless hours sorting paper transactions, requires an automated financial management system that does not only save time but also generates an accurate record of members’ savings, loan disbursements, and investment owned by the association on demand. In this review of our current QuickBooks Online Plus deployment for a co-operative society of a top company in Nigeria, we will be discussing how bank statement upload helped resolved their financial challenges on key areas like member’s monthly savings, loan disbursement and repayments, investment in equities and CBN Treasury bills and financial reports. Although we have already shared a detailed guide on how QuickBooks works for a co-operative society, this is for co-operative societies that are looking for a cloud version of QuickBooks with bank statement upload. We are about working on data migration for one of our retail clients in Lagos. They have been running their financials on the Pro version of QuickBooks for the last 5 years and want to upgrade/migrate QuickBooks financials to the cloud, but management is contemplating whether to subscribe to the online version or the Enterprise Cloud Solution. The current version of QuickBooks Pro on their systems is a desktop application that does not require license renewal; the data is stored on the host laptops and does not require an internet connection before users can launch and update records. However, as a business expands to different locations with management requesting for centralization and real-time monitoring of transactions from the head office, the desktop version except there is a wide area network for remote access, may not be scalable. This calls for a cloud solution which will as well preserves all the previous records. QuickBooks currently offers two cloud solutions: the Online Version and the Enterprise Cloud Solution. 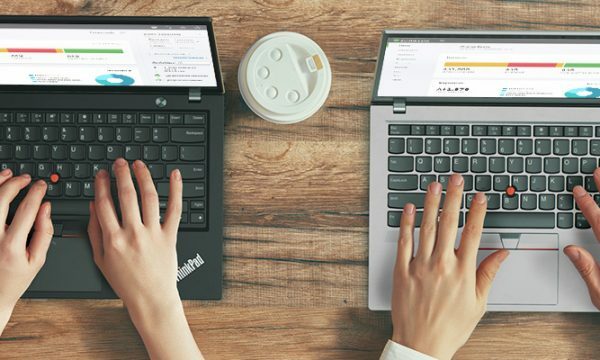 Author Ndukwe UkabiPosted on October 18, 2018 March 22, 2019 Categories QuickBooks1 Comment on Which QuickBooks Cloud Solution Is Best For Your Business? We have interacted with more clients in this software industry than anyone, an edge that made it easier for us to learn more, share our implementation experiences and how growing businesses can solve their accounting challenges, deploy a better financial software like QuickBooks and get their financial report right. An emerging trend now is that a lot of businesses opt for the “Enterprise Version” of QuickBooks without a proper understanding of why and when an enterprise solution is appropriate for their business. What we really want to address is the influx of unskilled QuickBooks consultants who claim that they are auditors or IT consultants, advise businesses owners to buy QuickBooks Enterprise without a clear reason, except that they feel its “robust”. No doubt, the Enterprise solution is a robust financial software that offers more features and functionalities compared to QuickBooks Pro or Premier but the question is, do you really need Enterprise for your line of business? 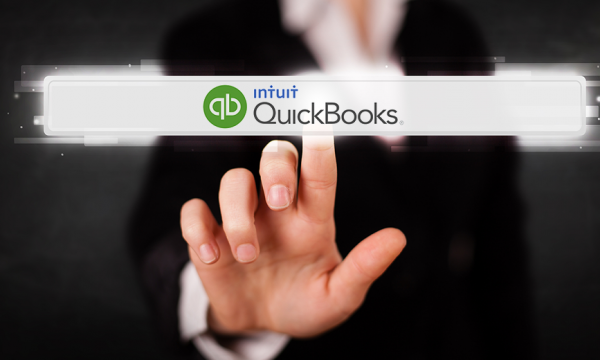 The number of concurrent users of the QuickBooks is more than 5; from 6 – 30 users are required to log into the company financials at the same time. 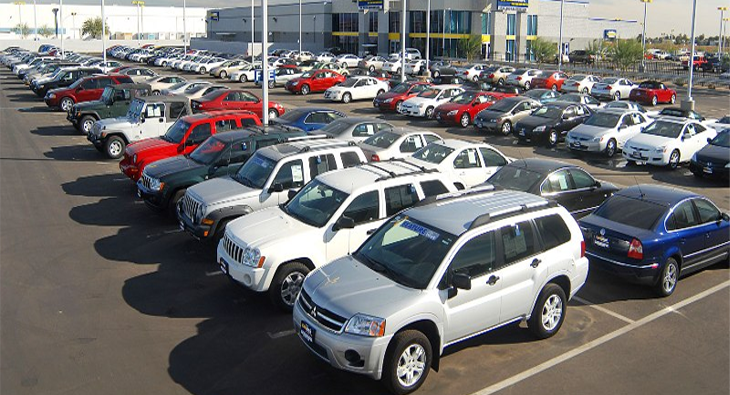 The number of inventories, customers, vendors exceeds 14,500. You want a cloud-based solution for multi-users in different locations (optional) so that you can track inventories transfers between/among various retail stores or warehouses. You are keen to FIFO as your preferred inventory valuation method, other than the default-weighted average cost method the software uses. You want to integrate barcode scanner with your accounting software. But, if you are using POS, you really don’t need this. 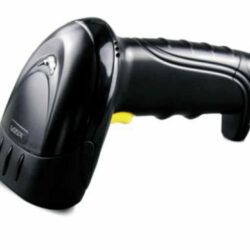 Barcode scanner is best used alongside QuickBooks POS software for capturing product information faster. 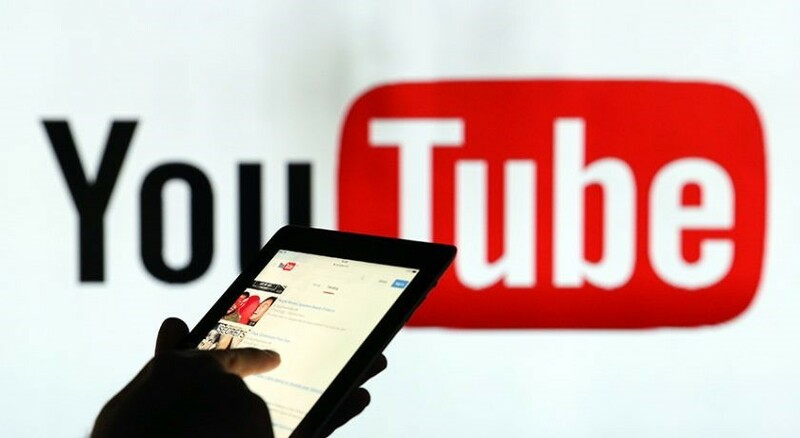 If you don’t fall into any of these criteria, you would be spending more than necessary or committing your business to an avoidable lifetime subscription model. 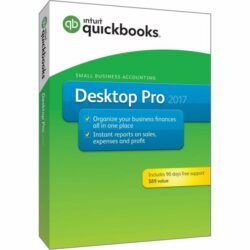 The desktop versions of QuickBooks accounting software were designed to help small and growing businesses to simplify their accounting systems, automate transaction entries and generate a real-time financial report. 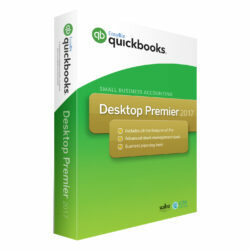 Currently, there are four variant of the desktop software: QuickBooks Pro, Premier, Accountant and Enterprise. The Enterprise version can be upgraded to offer cloud-only solutions which is available in the subscription model, the remaining three can be installed on a PC for offline use. 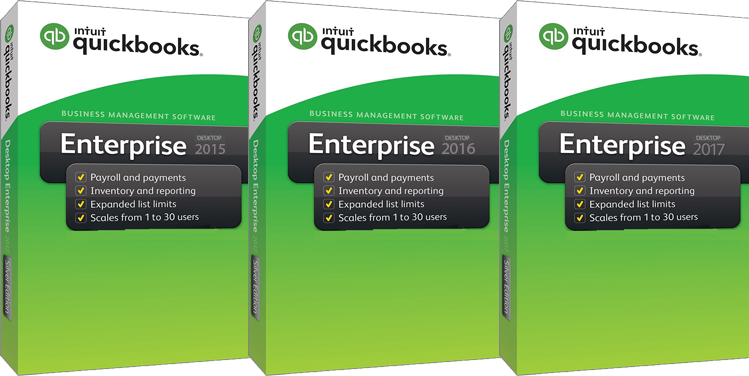 See – Check the prices of our genuine QuickBooks accounting software with license keys, product number, and validation code. From experience, we realize that a lot of clients prefer the offline version because it does not require the internet. Considering the unstable nature of our local internet services, it is a good software for retail, manufacturing, or serviced based business who do not want their daily postings to be tied to availability of internet connections. 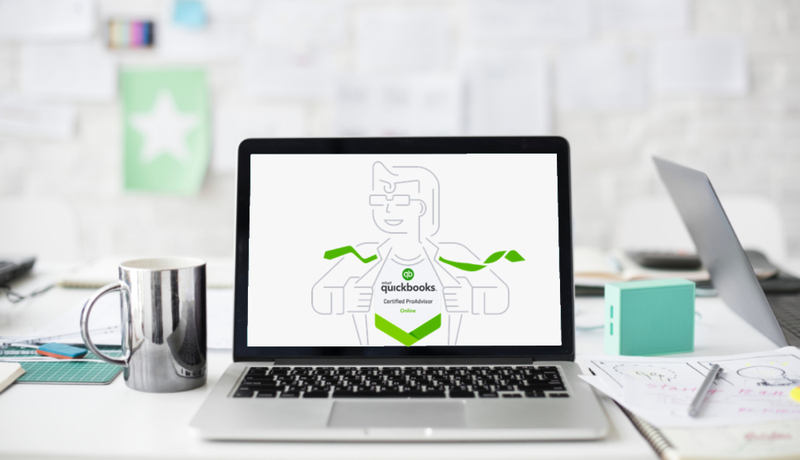 Author Ndukwe UkabiPosted on October 8, 2018 November 8, 2018 Categories QuickBooks1 Comment on Why & When You Should Upgrade your QuickBooks Software. 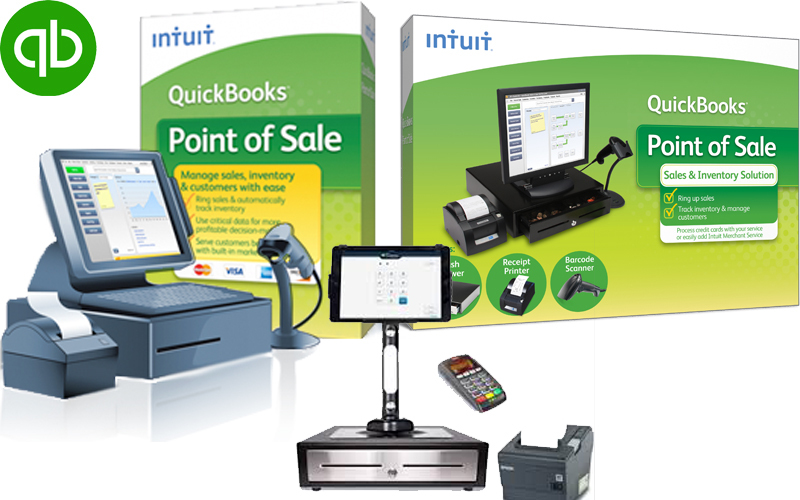 What You Should Know About QuickBooks POS Multistore for Retail Businesses. As we scale our accounting software business model to accommodate smaller and growing retail business owners, who are looking for the right financial solution to their day to day accounting challenges, we share implementation experiences so that prospects or business owners in the same line of business will learn and understand how our solutions can solve their related challenges. Here is a real-time story that will help you avoid wrong installation and setup if you are looking for a POS software for your retail business. A retail business owner, who wanted to upgrade to a newer version of QuickBooks POS software called in to request for the latest version of multi-store which as of this writing, was 2018. She bought a user license of the POS software without a proper understanding of how QuickBooks POS multi-store for retail businesses works. After installing the software at her stores’various locations; networking became a challenge. She thought that all the remote stores could easily be linked to the head office such that inventories, sales, purchases and reports would be centralized. Normally, QuickBooks POS multistore software was not designed to work like that; you need to get the number of user licenses equivalent to the retail store branches. For instance, if you have 10 retail stores and 1 head office for your business, the number of licenses needed to configure these stores and connect to the head office (remotely) is 11. Each retail stores, including the head office, must have a separate QuickBooks POS license software. If not, centralization will not be possible. When we say “Centralization”, we mean connecting all the remote or retail stores to the central head office. 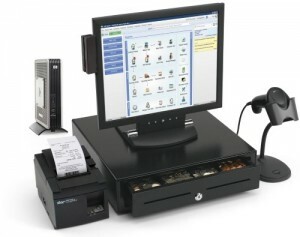 Technically, for the head office POS software to receive data from the various stores, the applications check the user license of the sent file, and if they are the same, it will display an error message with the reason – your file shares the same license with the receiving file – but if the user licenses are different, the file is received and the sales or purchase information at the retail store is updated on the head office POS to generate an accurate inventory quantity on hand and balance. If you are looking for QuickBooks POS software for your retail stores but do not know the number of licenses you need, the easiest guide is to confirm the number of stores you would be installing the license at or user systems. Assuming you own 10 retail stores but wouldn’t like to centralize inventory; you prefer to treat each store as an independent unit, you only need one (1) user license but if centralization is key, then you need ten (10) user license. 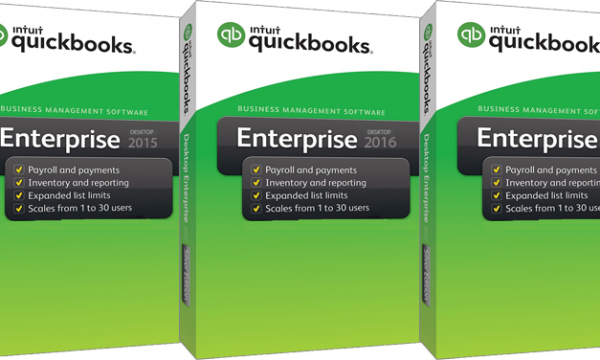 Do you need more information QuickBooks POS multi-store software or license purchase guide? Please send a mail to us at info@accountingsoftware.com.ng or call us at 08105090001 for professional support! POS terminal is a portable point of sale machine that allows payment through credit and debit cards on the go. 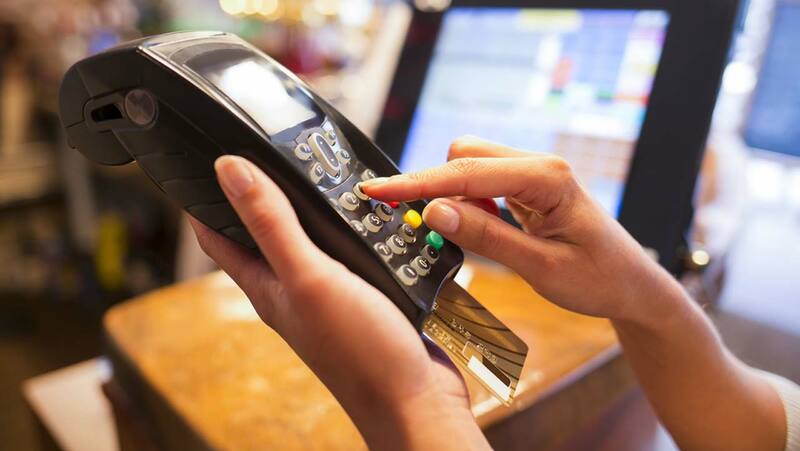 Businesses use POS terminals as an alternative mode of payment for customers who are not comfortable carrying cash around. 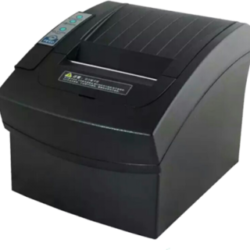 Since the introduction of this point of sale machine, transactions value processed had since hit a height of N1.4tr, according to the 2017 data presented by Nigerian Inter-Bank Settlement System. Over 155,462 active POS terminals have already been made available to retailers or merchants in Nigeria. The growing adoption of POS is a positive development which is not unconnected to the fact that Nigerians are now using less cash for transactions and more of POS as a preferred settlement method. A noticeable accounting and financial challenge is brewing from this payment method. Businesses that are not using point of sale software like QuickBooks POS software or other POS for making sales are finding it difficult to account for their actual bank balances in real time, due to delay in POS transactions settlement. If you are currently using QuickBooks Pro, Premier or Enterprise Edition, and you accepts payment via POS terminal, this guide will help you find a better path to tracking all POS transactions in your accounting software. Normally, it takes 2-3 days for banks to credit merchants account for the value of POS transactions carried out in stores or in their various business locations. Account officers or cashiers from their end do make the mistake of recording customers’ payment as cash received into the bank resulting in the increase of QuickBooks bank balances without immediate corresponding increase in the actual balance. A customer booked a room for 3 days at NGN 24,500 and paid NGN 73,500 via his debit card using the POS terminal. The payment was debited from the guest’s bank account but was not credited instantly to the merchants’ account. The cashier recorded the transaction as cash received which was saved directly to Zenith bank. We had a demo session with a fastest growing car dealing and auction broker in Lagos last week to discuss the scope of QuickBooks software implementation and how they could effectively monitor their cash flow on a real time. During our conversation, the panel of managers was concerned about tracking foreign currency transactions; their model is in such a way that car buyers prefer to pay in Naira while they, as a licenced car auction broker, bid on various car brands online, handles all landing cost and settle the bills in US dollars. Businesses like this requires an affective foreign currency translation processes and real time exchange rate update in order to get their books of account right. How then could QuickBooks solve their financial management challenge, a key personnel ask? Domiciliary account setup and exchange rate update. 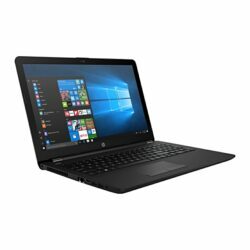 Creating a foreign seller account and bills to track all payables in USD, including shipping fee. Creating another service provider account to track custom duties on the car imported. Invoicing the customer in Naira to record receivables and receiving payment into a Naira bank account. How “Bank Statement Pro” Helped a Credit Company in Reconciling Customers’ Balances. 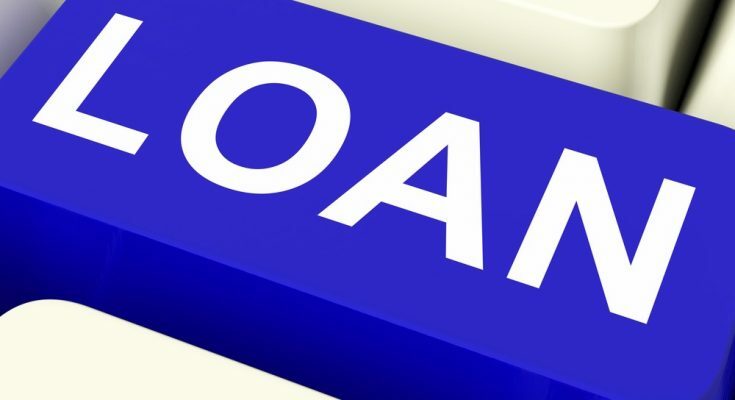 The business of Credit and Asset Purchase Financing is a business that requires effective bookkeeping, especially when you have a larger chunk of your capital already advanced to customers as a loan with expected interest income. An Accounting Software deployed for SMEs in this line of business will not only help management to understand the company’s financial positions, but will also help them to see and monitor their profit and/or loss position. For businesses in Nigeria; real-time customer’s account balance and bank reconciliation remain a key subject of concern that require immediate attention. One of our clients had this challenge – upon approval of loans receivable in 3-6 months, customers start the repayment plan by making credit transfers to the bank accounts (Lender). Credit officers, who are in charge of tracking repayments do not have a direct access to the Credit Company’s bank statement, they miss such payment transaction as they aren’t aware of these payments. The customers, on their assumption that these periodic payments will be automatically recorded against their loan and interest payable, felt no need to do a follow up. Our “Bank Statement Pro” didn’t just close the gap by providing the credit officer with the flexibility of importing multiple customers’ payment into QuickBooks Accounting Software, but also eliminated possible conflicts by reconciling all loan balances on the company and at the customer’s end. Solving the challenges of our clients and sharing the numerous success stories is our passion, our goal, and our joy as our clients are into diverse lines of businesses and various fields of work ranging from hotels, travels, financial services, co-operative societies, NGOs, etc. Early this month, we were invited by a multi-store pharmacy to help fix their QuickBooks POS issues; they have different stores within and outside Lagos State but could not centralize their inventories nor link all the stores’ transactions to the head office for proper accountability. Another issue was that each of the stores was treated as an independent sales point which is not in the best practice of accountability, profitability and sustainability for a multi-Store. The good news is that our expert and professional team solved this challenge by introducing and configuring QuickBooks POS multi-store. Now they can send and receive files to/from other stores, with higher transparency and profit on the increase! This guide focuses on the basic step we explored to set up QuickBooks POS multistore in a pharmaceutical company. The company had already installed QuickBooks POS but do not understand the processing of configuring a system as the main head office server where the company file resides, and sync with QuickBooks desktop financials. Our team checked the POS software and discovered that the system wasn’t properly installed nor set up to accommodate other retail branches in different locations, this was quickly fixed under the “Preference menu>multi-store” window. List the number of stores to connect to the central head office POS. Select the communication method, i.e., how you want to send and receive files to/from other retail stores. Download a central Dropbox or Google Drive folder on PCs at the head office and at the retail stores. Create a “send” and “receive” folder inside the downloaded Dropbox or Google Drive folder. The store exchange section is a very vital aspect of the QuickBooks POS multi-store setup as it is the core configuration that will help you send and receive files (like inventories, customers’ data, sales information, etc.) from other retail stores into the head office POS. Author Ndukwe UkabiPosted on February 8, 2018 August 30, 2018 Categories Payroll Software, QuickBooks, Sage Pastel3 Comments on You Can Now Import Your Bank Statement Into QuickBooks Accounting Software! As at the time this review was published, we had just helped a fast-growing Law Firm re-organized their accounts using QuickBooks Pro accounting software. You might ask, “Does a Law Firm really needs an accounting software? To answer this question, we believe that as long as tracking cash flow remains a top priority for businesses in which Law Firms are one; then we say YES, Law Firms need an accounting software! Besides, our interaction with the firm’s account officer revealed so much about Law Firms that we decided to share some key points on how QuickBooks software brought in a new life in their Accounting Department, and consequently, leading to an overall financial growth of the firm. Clients Receivables & Trust Accounts. As at the beginning of 2018, they have a pool of individual and corporate clients with outstanding balances arising from professional services fee, litigation, retainer-ship fee, debt recoveries, etc. And at every point in time, the management would like to see their clients’ balance for cash flow projections on a real time. Solution – we imported the names, addresses and receivable balances via excel into QuickBooks. Another major concern was that they maintain a trust account on behalf of their clients and these funds are fully invested in call accounts with asset management firms. What is a trust account? In simple terms, it is a fund account held by a professional (who is known as a trustee) on behalf of a client. Our team assisted the account officer by creating a parent trust account under liability, since the fund is owned by clients and subject to their instructions. They also organized all the clients whose money are held in that account under a parent account head, and added a corresponding investment account (with the asset manager) on their chart of accounts, to track the funds that were invested in short-term securities with accrued income posted to an interest income account. One key feature of a call account is that you can request for your money at any point in time. For instance, whenever clients send instructions to the Law Firm as regards the purchase of a property (with the amount held in the trust fund) on their behalf, a call is immediately placed to the asset manager. 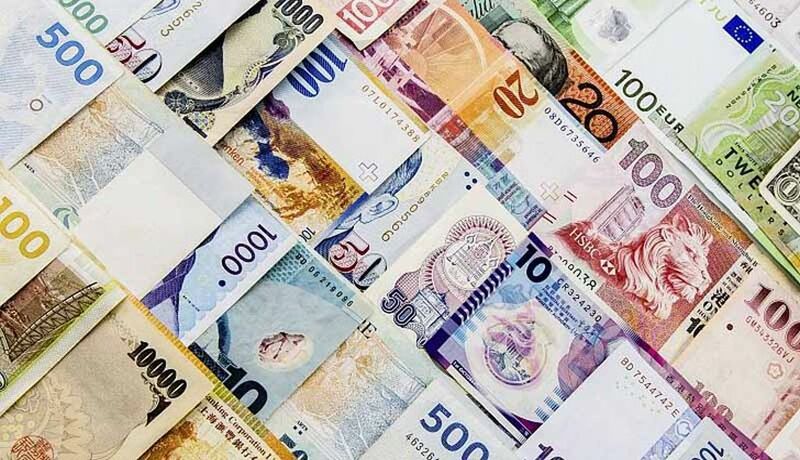 Foreign Exchange Transactions involve purchases or sales in currencies different from your local currency, and as such, requires effective tracking of exchange rates as the exchange rate is known to be in constant fluctuation. As a business owner who pays for services or transacts in other country’s currencies, you need a flexible and simple financial software that will help you track banking transactions on your domiciliary accounts and reports, realized or unrealized gain/loss, in a manner that is easy to understand. We have been deploying QuickBooks for small businesses in different career fields, we have seen variations in foreign exchange transactions, and we have helped our clients found a lasting solution to tracking their Foreign Exchange Transactions using the QuickBooks. The tips shared here works well on Pro, Premier & Enterprise Edition of the QuickBooks. Add your domiciliary accounts & exchange rate. Updating your exchange rate daily, weekly or monthly. Funding your domiciliary account via BDCs. Transfers from your domiciliary account via BDCs. Tracking unrealized gain or loss on your domiciliary account. The first step to exploring the multi-currency features of QuickBooks is to activate your home currency. QuickBooks accounting software generates your financial report in a selected home currency and as such, needs to know your currency built. Select “Yes! I use more than one currencies”. Click the drop-down, view more currencies and select your home currencies – for the purpose of this guide, I will select Nigeria Naira as my home currency. After activating the multiple currencies, the next step is to load all the domiciliary accounts held in their respective banks and their various balances. The same way you add your bank accounts in QuickBooks is also applicable here; but on the currency drop-down, select the currency in which the balances are held. For instance, if I want to add a USD domiciliary account, I will select US dollars under the currency list. The next step is to click “Enter Opening Balance” to add the US dollar balance as at selected date and then enter the latest exchange rate. You might ask; is it the CBN official rate or parallel market rate? Whichever one you are to choose will depend on the rate at which you fund your account. N.B. QuickBooks is designed to automatically update exchange rate of companies whose home currencies are USD, EURO or GBP. Exchange rates are relatively stable, and the presence of multiple currencies dealers is largely minimal. But, currencies outside these three requires manual updates. Updating Your Exchanges Rate Daily, Weekly or Monthly. As exchange rates fluctuate daily, you are also expected to update your QuickBooks Accounting Software so that all your foreign currency balances will reflect the current status of your business bank account, and if there is an unrealized gain or loss, the system will report accordingly. Author Ndukwe UkabiPosted on January 18, 2018 March 20, 2019 Categories QuickBooks, Software Tips & Advice1 Comment on Foreign Exchange Transactions and the QuickBooks Software. The business of insurance brokerage is classified as a serviced based business like consulting firms. Therefore, the simple and straightforward procedures we followed when implementing the QuickBooks for consulting firms are exactly what we will adopt here. You may want to ask; why then are we doing a review of QuickBooks for insurance brokerage companies when we had already posted several tips on how serviced based companies can use the accounting software? Here is the reason – unlike a consulting firm, the money received (Premium) from the clients is not recognized as revenue. Only a percentage of that amount (Premium) is treated as “brokerage”, while the rest is payable to the insurance service provider. Hence, the need to understand how this can be implemented in QuickBooks can never be overemphasized. The Customer centre in QuickBooks allows you to manage your customers, see their outstanding balances and track recent transactions. As an insurance agent, this window will help you add all the clients who are currently subscribed to insurance covers and if there are premium receivable from these clients, you can also enter the value at the beginning balance date. The payable is not supposed to be treated as an income. Here, you will learn the simple trick to map them to your liability account! N.B. Deleting a client on the system cannot easily be processed until all pending balances are cleared. These are the real service providers and as such, should be treated as vendors under the “Vendor Centre”. When adding the insurance service providers, you should take proper note of all premium payables in your books to avoid misrepresentation on premium payable reports. While you can easily add more vendors, the same restriction on deleting names of clients also applies here too. Tracking Your Commission on Premium. When clients pay a premium, be reminded that only a percentage of the value is recognisable as commission income in your profit or loss while the rest should be treated as a liability or payable, which is to be remitted to the insurance companies. Create a service item called “premium” and map it, under the income account drop down to a “premium payable account (account type: liability) and save. Create another item type for “other charge” and enter the agreed percentage of premium you are entitled to and map it to the income account; this is the actual income (brokerage) that will be displayed on your profit or loss report. Failure to follow this important steps means, “all premium received will be wrongly posted as income”. On the invoice window, select a line item for the premium paid and another line for the commission income. As the cash is paid into your bank, you are also expected to use “record deposit” on QuickBooks to record all inflows to your bank accounts. For Premium Paid To The Insurance Companies On Behalf Of Clients. Since all premium paid by your clients sits in your bank account, it is usual for you to pay off the payables by remitting all premium received to the insurance. QuickBooks displays all premium payables with the “pay bills” available to help you make payment from your bank account to a selected vendor (insurance company). Before you make payment, you need to have setup your banks and their respective balances. The same way you make payment for the premium on behalf of clients, that is how you record all administrative expenses from your petty cash. At the end of the month, you are expected to reconcile your bank balances with your QuickBooks cleared balances; use the reconciliation window to process all missing transactions in your bank statements like credit transfers, bank charges, dishonoured credit, uncredited cheque etc. The end point of your reconciliation is that the beginning balance of the following month in QuickBooks should corresponds with what you have in your bank. As at when this post was published, we had just concluded a training and the Chart of Account cleanup for one of our clients in the telecommunication industry. They are a fast-growing smartphone and accessories enterprise whose finance is already being managed on the QuickBooks Enterprise. Of all of their challenges shared with us, the major concern was that they have outlets in different locations, both within and outside Lagos, but could not record inventory transfers in QuickBooks Enterprise when smartphones are issued from the warehouse to various sales outlet. The reason for this challenge is simple, it is simply because they were not subscribed to Advanced Inventory Module. If you are familiar with QuickBooks Enterprise, you would know that there is a module called “Advanced Inventory”, which is an additional feature only available to subscribers. It has the added advantage of allowing you to effectively manage your inventories, set up multiple warehouses or locations, and record inventory transfers. 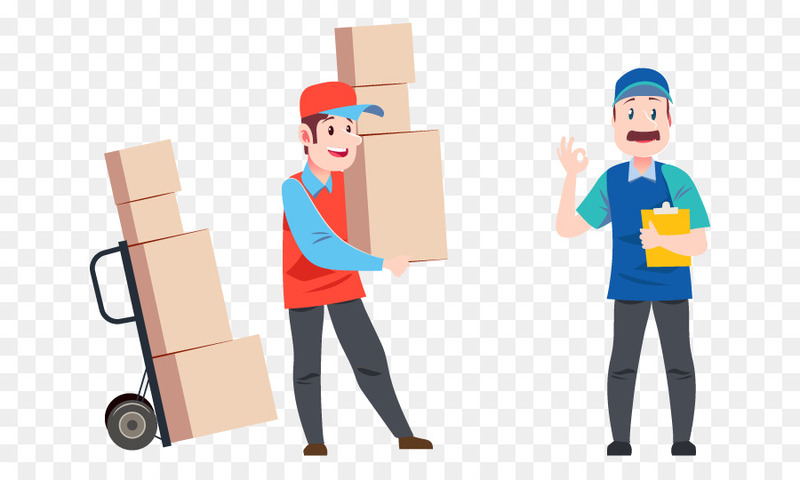 For a retail store with multiple warehouse or branches in different locations, inventory transfer is part of their operations as these sub-outlets expect what they sell to come from their head office, while the head office in turn records such in their book for proper accountability. Another major area is sales; considering the fact the branches are also meant to be profit centres, Management needs to track their sales performance. Categorization matters here as it will not be proper for all income earned to be treated under an account head. The scenario painted here depicts my client’s needs. The QuickBooks Enterprise they are currently running is not subscribed to “Advanced Inventory Module” as they felt it was expensive; not because of the fee (which was $1400 for a user license), but the fact that it is a recurring bill that is not priced on a user license. Rather, it is priced on up to 30 concurrent users. Although, businesses running in Nigeria are affected by several challenges, such investment and expenses will help them get their accounting and financial management right, yet it is on the high side and it is deemed out of range for management’s budget. Our team was invited to overhaul the challenge, and proffer a workable solution that will track inventory transfers, generate inventory report of each outlet and their sales figure on a real time. 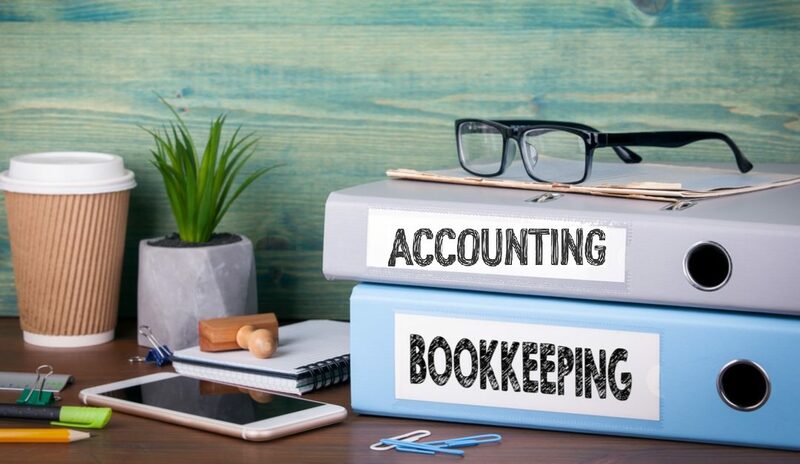 The flexibility of QuickBooks accounting software makes it the preferred accounting software for us at BigResources Solutions – We interact with several business owners in divers’ fields of work. With our experience and professional expertise around implementations, we were able to excellently resolve the toughest challenge of one of our clients, and we are also able to provide you with the simple tweak you need to perfect your accounting system. Recently, we were at one of our client’s office who had previously installed QuickBooks. He was still having challenges in tracking school fees payment on a real-time. 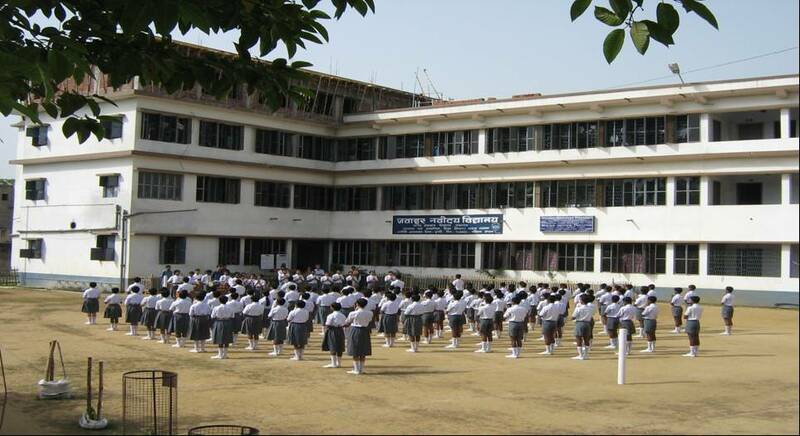 At the beginning of the term, there were countless credit flows from parents into the schools’ corporate account, the accounting staff were not able to manually input all the transactions due to limited manpower compared to the number of students in the school. This led to delay in report submission to the management as they could not generate a list of all the students and their receivables faster. Based on our technical expertise in accounting software and application integration, our professional team was called on to help resolve this challenge. The school currently has a school management portal deployed to help manage all their registers, teachers assessment of each student, exam scores etc., but what we needed from the portal was a detailed report of school fees payment (CSV format) so that our application can read it and import into QuickBooks. After reaching a deal, we contacted the web portal developer to help us re-format the CSV format of the payment report using our QuickBooks acceptable file – this is very crucial as QuickBooks developers’ documentation for importing payment transactions clearly states an acceptable format and required details – data of payment, name of customers (which in this case are the students), amount paid, and the bank receiving the flow. Moving ahead, we installed our application on the administrator’s system where the company file is domiciled, so that all import can be easily pushed into their necessary ledgers. But there was still an issue; the desktop based offline application could not connect to the QuickBooks Charts of Account nor display existing students as it is in the QuickBooks. 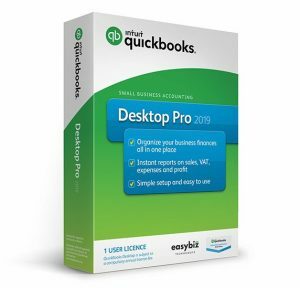 On troubleshooting, we noticed that the client’s QuickBooks desktop version was 2013 and Intuit QuickBooks has stopped supporting such version. We tested the application on my system since I have the latest version and it worked. 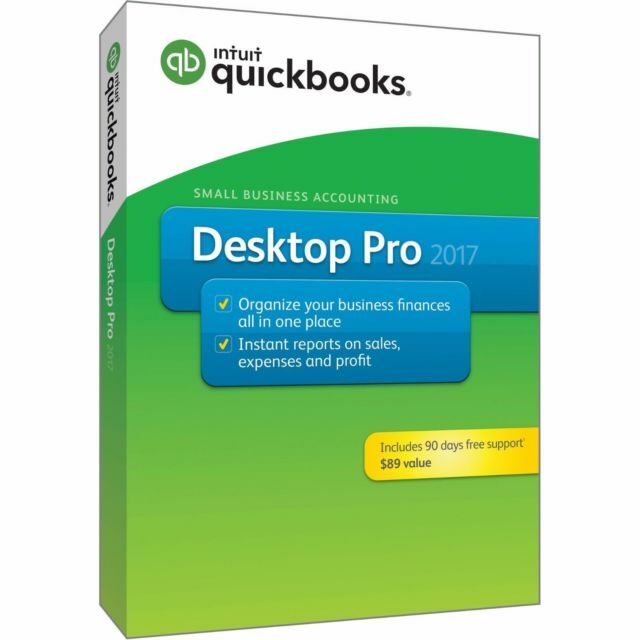 We had to back up the company file, upgrade the QuickBooks Pro 2013 software to QuickBooks Pro 2017 and then restored the file to the new version. This fixed it! We eventually connected to the recently installed QuickBooks and ran our first payment import from the school portal into QuickBooks – all the invoice balances (amount due) were knocked off by the actual amount paid while their corresponding banks were credited. I am excited that our solution helped our client to solve their toughest challenge and now, they can process hundreds of payment transactions into QuickBooks in less than a minute; a workflow that would have taken about 3 hours if done manually. You might want to know if we can adapt our solution to your existing business. Yes, we can! We can help you import your banking transactions into QuickBooks! Last week was a very busy one for us; a popular real estate and property management company here in Lagos called our office to help solve one of their toughest financial challenges. By organising their tenants’ record in QuickBooks according to properties. We implemented a simple system that tracks rental payment from these tenants and also helps to generate a report on the performance of various properties located in Ikeja, Ikoyi and Yaba, Lagos State. Although this type of implementation is not new to us as we had earlier shared a YouTube video on how property managers can explore QuickBooks for effective financial management. But the fact that the owner is interested in remote and unrestricted access financial reports from anywhere in the world makes the project an interesting one. First, we gave a recommendation on the best QuickBooks version to install, and also, we recommended that it should be saved on a cloud folder on Premier Desktop. Why these recommendations? 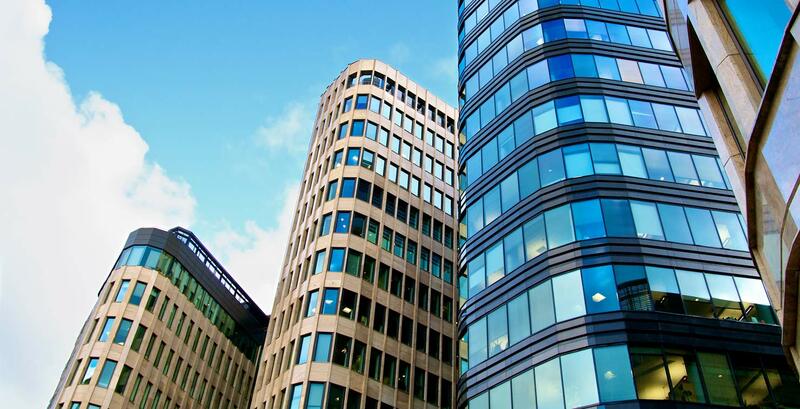 They needed 4 users – one at each property management office and the fourth for the manager who was interested in the reporting side of the software. Another reason why we recommended desktop software was that they have a robust cloud server that is accessible from anywhere, all you need to do is to call the IP Address on an internet-enabled PC and log on to the company’s file; which means, staff can also update property information outside the office. If there are more specific areas of the property management business, outside the key points mentioned, we always request for such information so that some vital parts of setup aren’t skipped. Every real estate business starts from the asset they own, which is the unit that generates cash flow via rent and service charge. In QuickBooks, we set the various properties up as an asset – added as a customer (find the reason why we do this under Tenant Setup) and create a class. The class feature allows you track all revenue earned and expenses incurred on a particular property, so you can easily view the financial position of each of the properties you manage. In setting up all your tenants on the system, it will be completely unprofessional if you add all the names of the people occupying your properties without grouping them by property type and locations – this is the reason why we added the properties type as customers. Then import the tenants as a job classified under the property units they occupy. Apart from an organised reporting output, you can also generate a well detailed report on tenants, balances and the rent receivable of each property at every point in time. For instance, if you have a landlord who wants to see all the tenants occupying his/her properties at Ikoyi, you will easily generate such property specific report if these tenants are rightly grouped under the properties they currently occupy. Also, when adding tenants to the properties they occupy, we also took into account, rent dues from each tenant, service charge payable and security deposits paid (if any) so that reports on transactions with these tenants can be accurate. For advanced payment or prepaid rent, just add a minus (-) to the figure on the balance field, or else, the figure will be tracked as receivable instead of rent. Rent Collections, Commission & Service Charges. 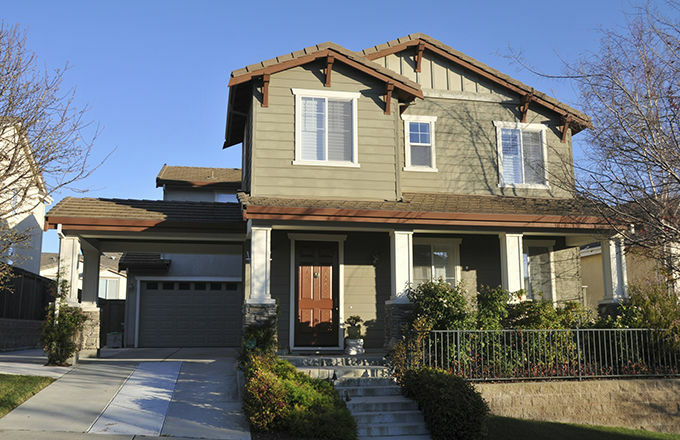 The major source of income for a property manager is not rent but the commission portion of the rent paid by the tenant. Service charge is also an income but at times, it’s mostly spent on repair and maintenance. First, add “Rent” and “Service Charge” as services on the item list window and map them to their respective income account under the account drop-down. Without this, you can’t create an invoice for rent or service charge due, on a monthly or annual basis. After this step, go ahead to create an invoice, map it to the properties the tenants occupy, print and send to your respective tenants. Without selecting the class, you will not be able to determine easily which property generated X amount, and what is expected from the other properties. The email feature on the Invoice Window makes the distribution seamless as you can send an e-copy to all your tenants online. The Receive Payment Window allows you to record payment made by a tenant, which could be an instalment or final payment of the invoice sent earlier. 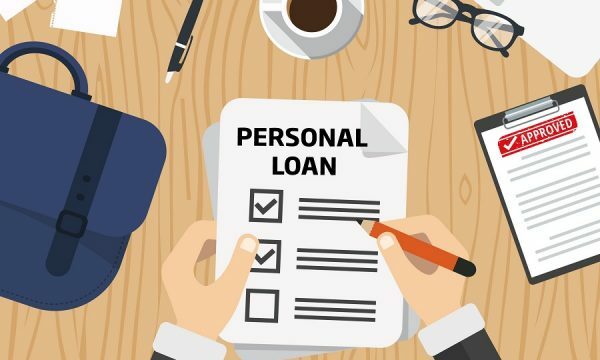 You can also select the bank account the fund is domiciled, and at the end of the period, check your bank statement in QuickBooks using the “register option under banking” to view all rents paid into your account and other banking transactions – bank charges, payments, and cash balances. For payment made as a security deposit, it should not be treated as an income because it’s a payment that is refundable to the tenants. Although this is rare in practice but the accounting treatment remains the same. Go to “Record Deposit” in QuickBooks, select the tenants that made the payment, the bank where the money is paid into and Security Deposit, under the “From Account” – It’s assumed that you already have security deposit added to your Chart of Accounts as a current liability. This is not different from your normal expenses but you should select the properties such expenses are incurred on under the class drop-down; this is where you map your spending to the property so that your profit or loss by class can show you what you spent at the end of a specified period. For instance, if I pay a plumber to fix the toilet at Ikoyi properties, write check records and the amount paid, while the class feature lets me state the property such expenses were incurred on. The figure you should recognise as an income for your property management business is not the rental fees paid by tenants but the commission portion agreed with the property owners (the landlord) – even though the money is paid into your bank account, you still need to pay the landlord the actual amount owned (tracked as remittance to landlord). Before you do that, ensure that you have added “Remittance to Landlord” on your Chart of Account setups under the “cost of sales”. To pay the landlord, use the “write check” window – on the bank account drop-down, select the bank where payment will be debited from, enter the actual amount you are remitting to the landlord’s account, then select “remittance to landlord” under the expenses account at the button of your window, fill in other information like memo and select the class, which is the property rent was collected. I already shared a key reason you should select a class for invoicing and payments- it will enable you to easily map your transactions by properties and generate a detailed profit or loss figure on each property you manage. Apart from the profit or loss by properties, you can also view report on rent due for payment based on properties/tenants, see all expenses incurred by properties, generate a trial balance, bank statement transactions, view your real-time balance sheet report (statement of financial position), cash flow and other relevant reports necessary for decision making in a real estate and property management business. While these tips have been proven to be effective in the management of a property business, we also know that you may have some specific areas or questions you need clarifications on, don’t hesitate to send us your questions or inquiry about deploying QuickBooks for your real estate or property business. Kindly send a mail to info@accountingsoftware.com.ng or call us on, 08105090001, 08084219399. For a couple of weeks now, we have been receiving numerous phone calls at our Accounting Software Support Centre. Business owners want to know how they can migrate from Sage50 to QuickBooks Accounting Software. This is because of the incomparable numerous benefits of the QuickBooks. Among several other benefits of the QuickBooks is its’ cost saving implication. Also, is its excellent ability to track cash flow for appropriate finance management. Although the process is not a straightforward one, but if you follow the steps below, you should not have a difficulty. If you are to do a manual conversion, export all invoices, payments, and expenses from Sage50 to excel, then import the excel figures into QuickBooks. Intuit has a very simple and effective tool to handle these processes in less time. QuickBooks Conversion Tool – Move from Sage50 to QuickBooks Desktop. The QuickBooks Conversion Tool right inside the QuickBooks software allows you to move your data from Sage50 into your Pro, Premier or Enterprise Solutions. 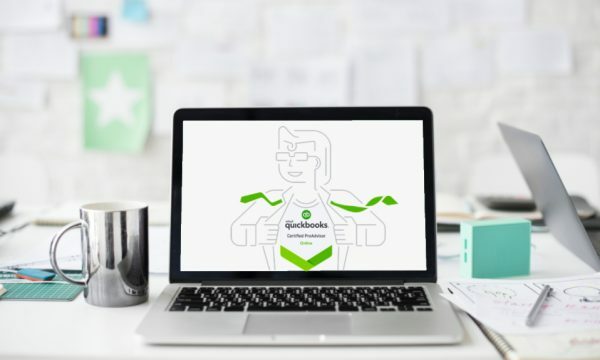 Make sure you have a genuine licensed QuickBooks software – this is very important as you have a direct support service to enjoy from QuickBooks resellers or technical team. You can visit our store at AccountingSoftware.com.ng/shop, connect with us at info@accountingsoftware.com.ng or call 08105090001 or 08084219399 for support on purchases. Your system requirements should be 4GB RAM with NET 2.0 framework installed. Backup your data file in Sage50 and save it with a recognisable name. There is a conversion tool available for seamless transition to a more flexible transaction and reporting function in QuickBooks, download it on your system. If you don’t have it, we can help you handle the whole process. When the tool is downloaded and installed, run it and locate your Sage50 file (the one you backed up and saved initially) when the installer prompts you. Press the button and let the process of migration begins. Manually enter your company information by copying and pasting between Sage50 and QuickBooks. The above are the steps involved in migrating your transactions in Sage50 to QuickBooks Pro, Premier& Enterprise. 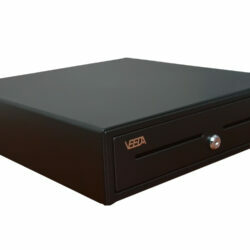 You can also request for our technical support in data transfer. Connect with us at infor@accountingsoftware.com.ng or call 08105090001. Medical centers still rank high in the corporate environment with the busiest staff. This is a clear discovery that is not unconnected to the steady influx of patients who are looking for a lasting solution to their health challenges. At times, medical directors get so busy that they pay less attention to finance, cash flow, and the overall performance of the company. 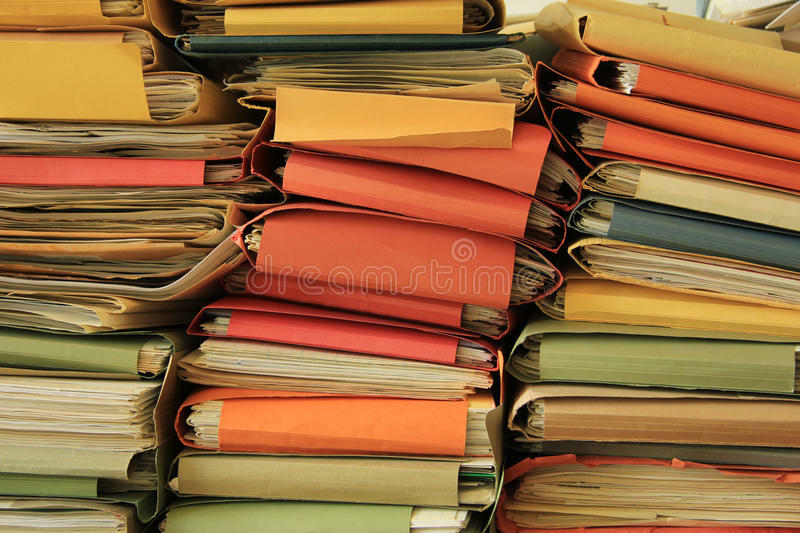 While some use excel spreadsheet to record and track payments made by their patients, others use the same file containing the history of patients’ health status to record the amount due, amount deposited and balances. I even noticed that only less than 1% of accounting officers in medical centres can accurately generate a receivable report due to unorganised transactions’ history. This definitely explains why medical centres, as a matter of urgency, need to quickly upgrade their accounting system to a better platform like the QuickBooks for efficient and effective transaction recording. There are different areas where accounting software can improve the operation of a medical centre; this ranges from the receivable side which I have earlier explained to more complex areas such as inventory management, invoicing, payments, banking, reporting and timely decision making. Starting from the Inventory side, records prove that medical centers are big time buyers of pharmaceutical products which they often use in treating patients, and as such, they need to supervise and monitor the flow of goods, medical products, its’ usage and quantity on hand at any given time such that when the accountant or store keeper is being called to present a detailed and updated report of inventory activities, it would be available in lesser time than when the conventional accounting method is used. For drugs or products purchased from local or foreign vendors, there is a simple workflow that takes you from the point of sending “POs” to receiving inventory into the store and making final payment in Naira or US dollars. And as these products are used, QuickBooks has a material adjustment window for recording every usage on a daily, weekly or monthly basis along with a corresponding cost of sales account to track their value on the profit or loss account. Another vital part of your account is the Invoicing Window which is designed to track all income earned from medical services rendered to patients, while using “Receive Payment” to record payment progress so far. This will greatly improve the way report on patients and their outstanding balances are prepared and presented. The Banking Section lets you monitor all cheque payments, customer deposit/transfers from/to your bank account with a “Use Register Window” serving as a bank transactions summary statement for you to make comparison of your actual bank balances. If there is any difference, you can initiate a reconciliation via the “Reconcile Window” to track missing figures like bank charges, interest income, un-presented cheques, uncredited cheques or transaction commissions. The above are some of the deliverables of the QuickBooks Accounting Software customized for medical centers. You can also connect with our client support team, on 08105090001, 08084219399, for more questions about getting your accounting system right and improving the accuracy of your financial report.